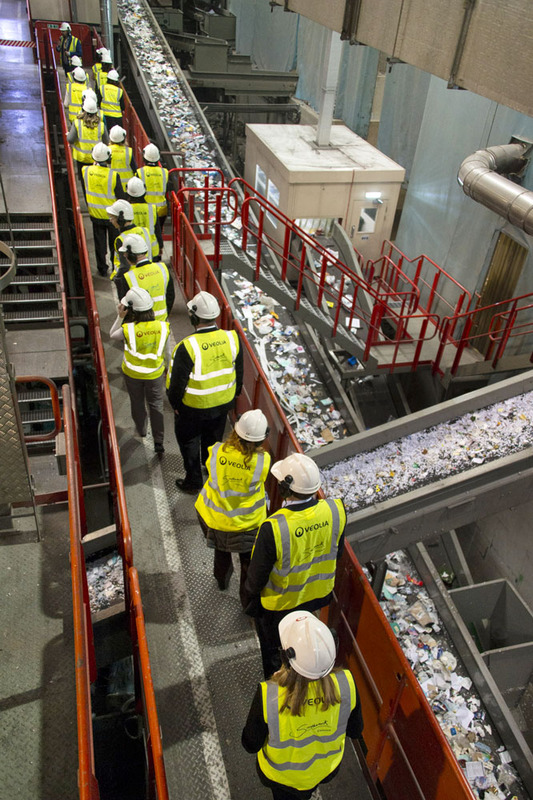 Estelle Brachlianoff led a Seeing Is Believing visit around Veolia’s Recycling and Refuse Plant in Southwark. It was AWESOME! Lorries continually bring in loads of ‘rubbish’ from Southwark and Westminster and out the other side comes ‘product’. There are many stories out there about recycling going into land fill but anything that arrives here gets made into a reusable raw product. One of Veolia’s big efforts now is to get manufacturers / designers to make their products in a way that is easy to recycle. For example, all plastic milk bottle makers should use the exact same plastic so it can all get mixed up together at the end and reused. Simple! Just looked at this and many other posts Alastair. Wonderful stuff.